I'm a big fan of hair masks, I tend to use one a week to maintain the condition of my hair. My favourite is Philip Kingslsey Elastizcer but I've been trying some new ones out to see how they go. 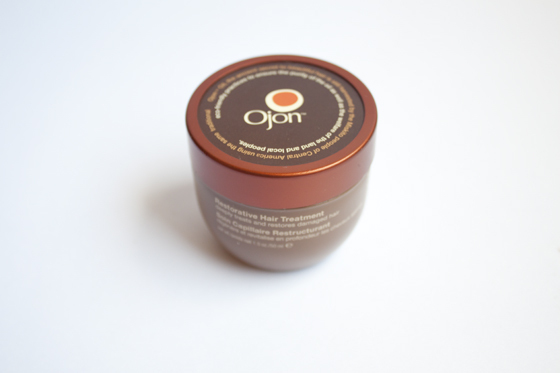 The first one if the Ojon Damage Reverse Restorative Treatment from my favourite hair brand Ojon. I love their shampoo and conditioner religiously so I wanted to see how I'd feel about the mask. 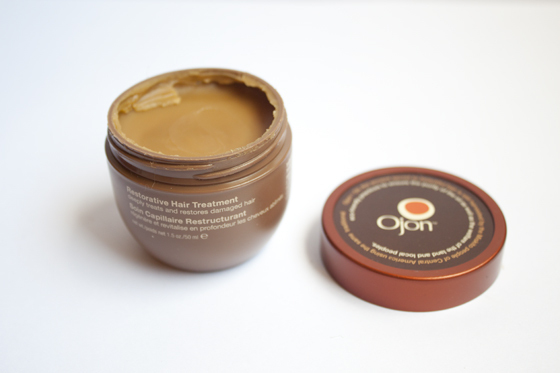 Ojon products are made from Ojon oil which is supposed to amazing at restoring the hair back good shape. It has a really strange scent, sort of woody and chocolately but to me it also has notes of something like ash or cigerette smoke. It's not horrible, but I wouldn't say I like it all that much. It's just too strong, If you've tried Ojon products you'd know they are more woody and natural than clean and fresh smelling.To apply you scoop about 1tsp out and warm it in the palms of your hands and rub through dry hair.Then apply it evenly through the hair, repeat intil the hair is completely covered. I tend to only apply it to the ends as i'd be using way too much product doing the whole head. I think it's a nice deep treatment, my hair is left feeling soft, moisturised and sleek. Despite this I find it a little heavy for my whole head. The first attempt I applied it all over and it left my hair looking way too laden with product, so applying it just to the tips meant it was just treating the areas that need it most. I think it's super expensive too, the one in the photo is a miniature to you do get larger tubs full size, but I used quite a bit on two applications.